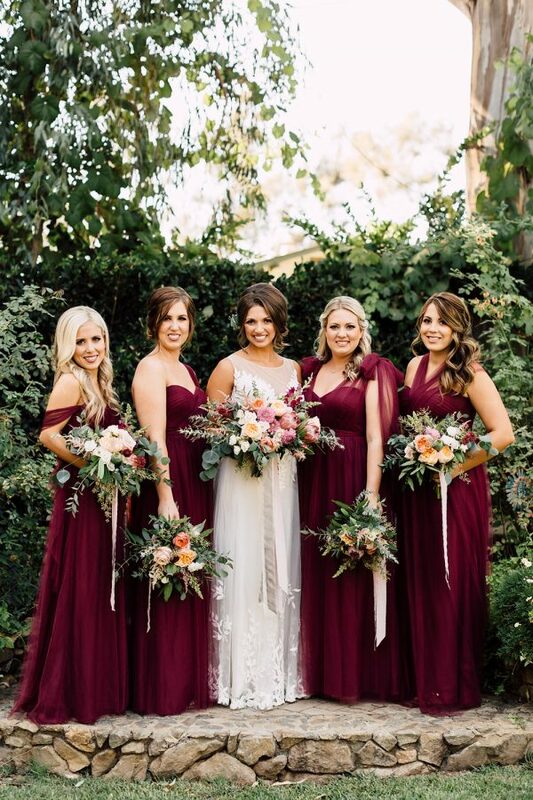 Not only do mismatched bridesmaids dresses look gorgeous, they give your ‘maids a range of options to choose from so that they can find something they truly love. 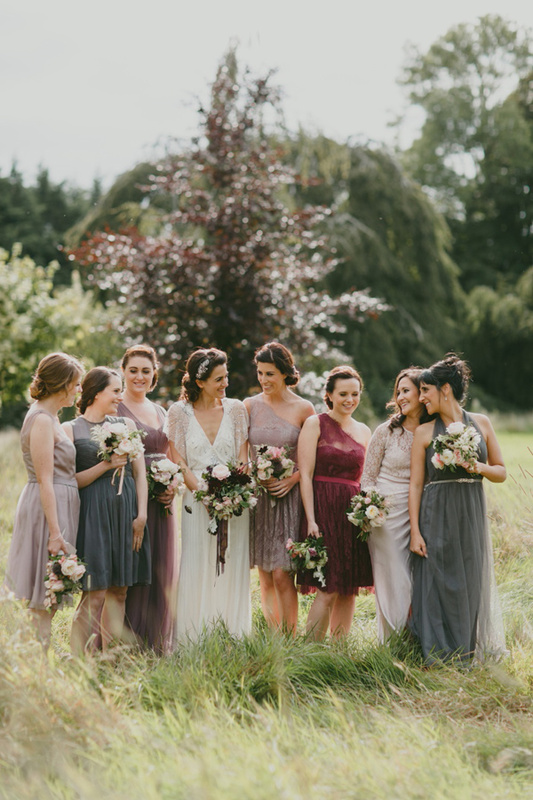 If you love the thought of your bridesmaids wearing matching gowns, there are lots of lovely multi-way styles to choose from. This means you can have the same length, colour and material, but the neckline will be slightly different for each bridesmaid. 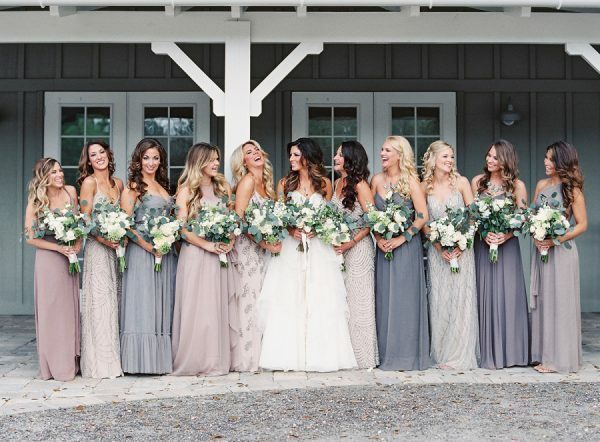 Some of your bridesmaids may love rocking a strapless gown while others may adore a halter-neck. 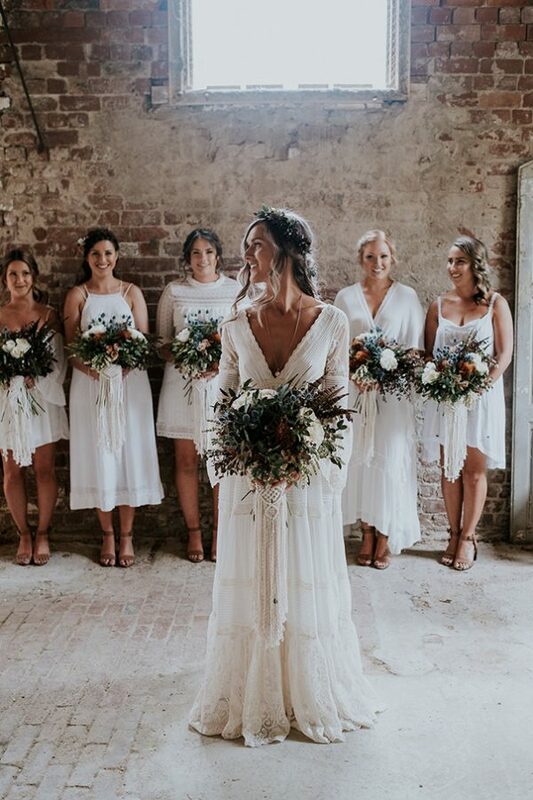 Experiment with a range of multi-way gowns to find a style that suits your team of ‘maids, and we can promise you that they will all look gorgeous. 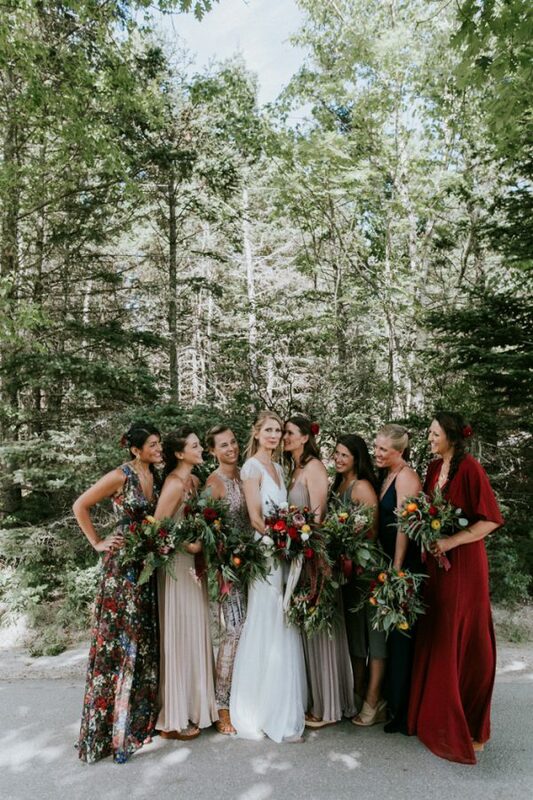 If you do want your best girls to go completely mismatched, we always suggest keeping one element the same in each gown. For example, opt for the same colour palette, material or length – whether that’s maxi or tea-length. If you’re swooning over the thought of a pink colour palette, from the palest pink to a deep rose pink, they’ll still look coordinated if you keep the length and the material the same. 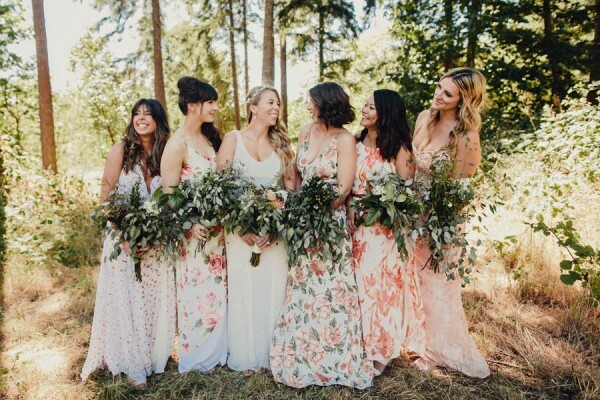 If you start changing too many elements, your bridesmaids may be mistaken for wedding guests! If you’re an ultra-laid back bride and you’re asking your girls to choose their gowns, be sure to give them a little direction so they can pick out the perfect gown. Offer a colour palette they can choose from, or delegate a colour to each girl. It’s also worth letting them know about any styles, designs or colours you’d rather they stayed away from. We adore the thought of gifting your girls with meaningful matching jewellery – this will also help to ensure your bridal party look coordinated and it will mean they can treasure their gifts long after your special day. We always recommend organising a day where you can ask all of your ‘maids to try on their dresses together so you can see them as a collective. It will offer you the chance to spot if any dresses don’t quite work together, and it’s a good excuse for a girly day! 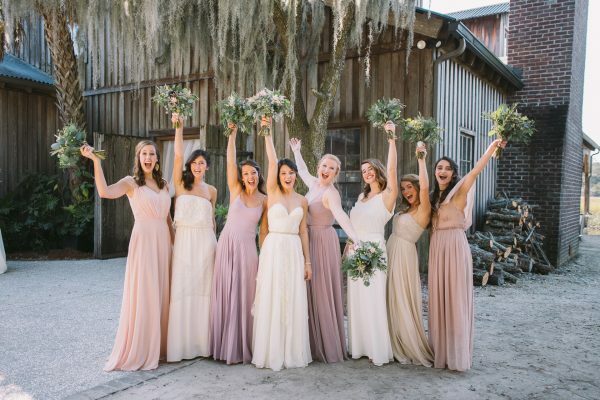 It may take a little longer to find a dreamy collection of mismatched bridesmaids gowns, but the result will be so worth it and we can assure you that you’ll have the happiest team of ‘maids ever!